Loving Fall-color vegetables? Feeling cozy with the promise of snow in the air and the desire of a steaming potage to go with it? 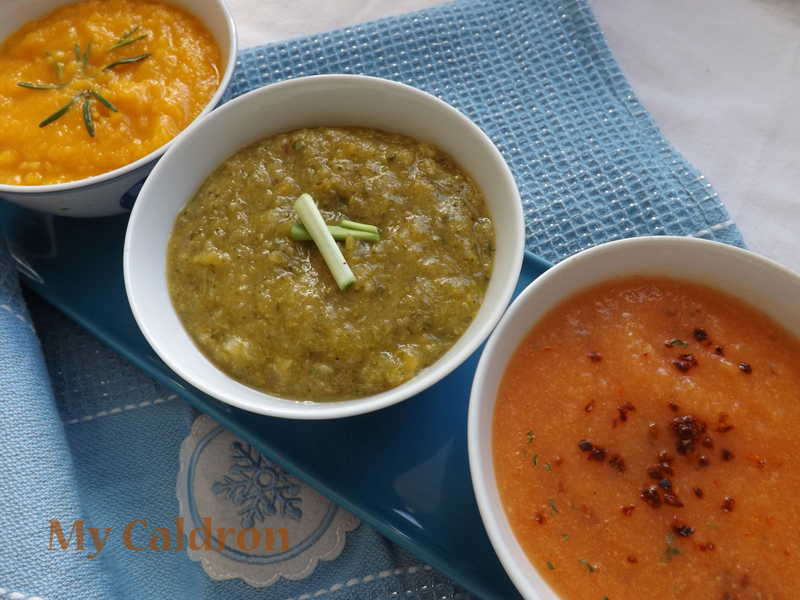 Well then, let us get started with some inspirations (and instructions) for some hearty, easy, spicy blended thick soups. Remember, you could absolutely use your intuitions and creativity with the types and amount of vegetables and seasoning. Here is my take though.